Prana is the life/energy force within our bodies. Bandhu is the stopping or blockage of energy. Pranayama-the breath of life-is a variety of breathing exercises. 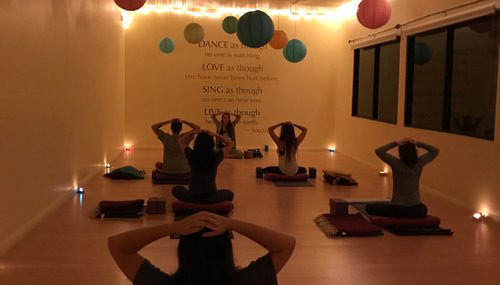 Our Yoga classes strive to renew the prana in you, reduce or eliminate the bandhu and have you develop a pranayama practice that enables you to live a vital life. Namaste, the spirit in me sees and honors the spirit in you. This class is designed to calm your body and mind. In this gentle class, appropriate for all levels, your instructor will lead you through a series of postures designed to relax your body. You will be supported by various props in order to allow your body maximum relaxation. 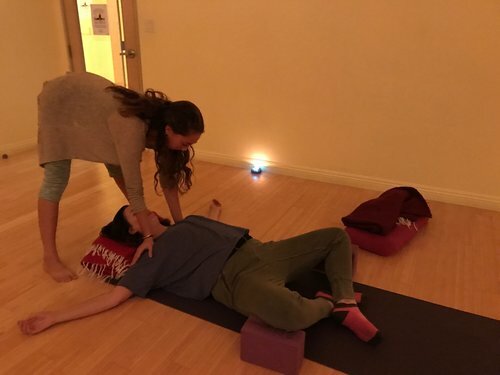 If you’ve never tried a Restorative Class–now is the time. Your body will thank you for it.